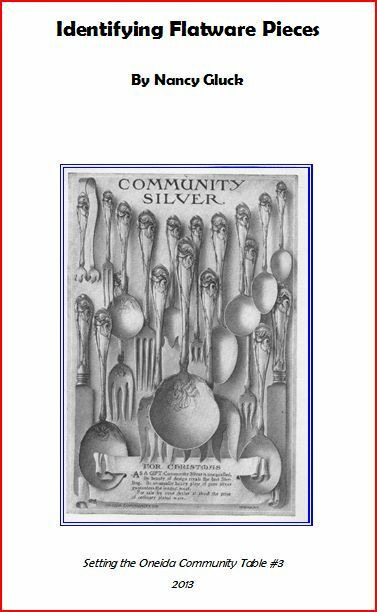 For a full listing and links to this and other available booklets, click on American Silver Booklets. a misprint – it is stamped ROGFERS Bros. Somehow the E is an F. Have you seen this before? Would this add value or detract? Thank You, love all the info you have! I have seen various distorted marks on silver, most likely caused by a worn die used for the stamping. It probably does not add value — more important is the overall condition of the piece itself. I am not in a position to do identifications any more. From the marks you report, your set may have been made by International Silver, not by Oneida. For further suggestions, see my article on Indntifying Your Silver: https://silverseason.wordpress.com/american-silverplate/learning/identifying-your-silver/.